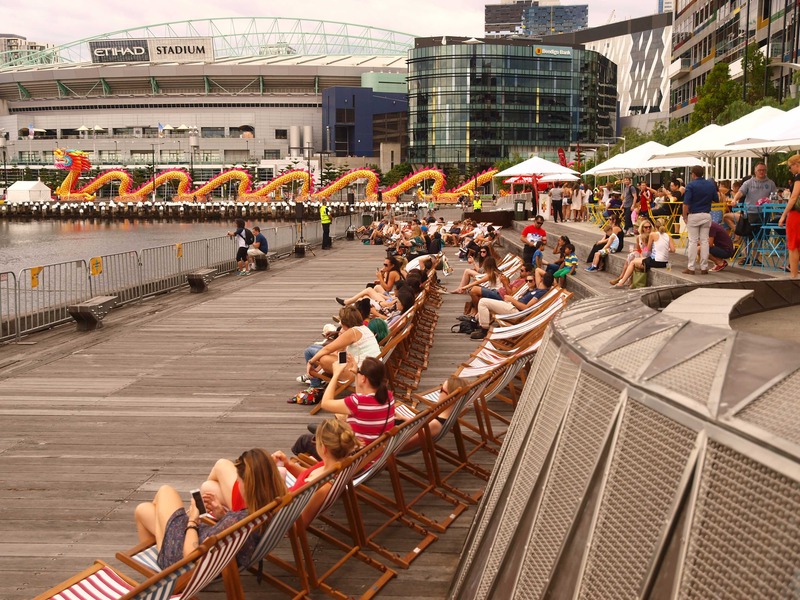 Encouraging Melbournians to visit Docklands has proved quite difficult so Lend Lease, developers of Victoria Harbour, decided to create a pop-up 1-day festival to draw in a crowd. 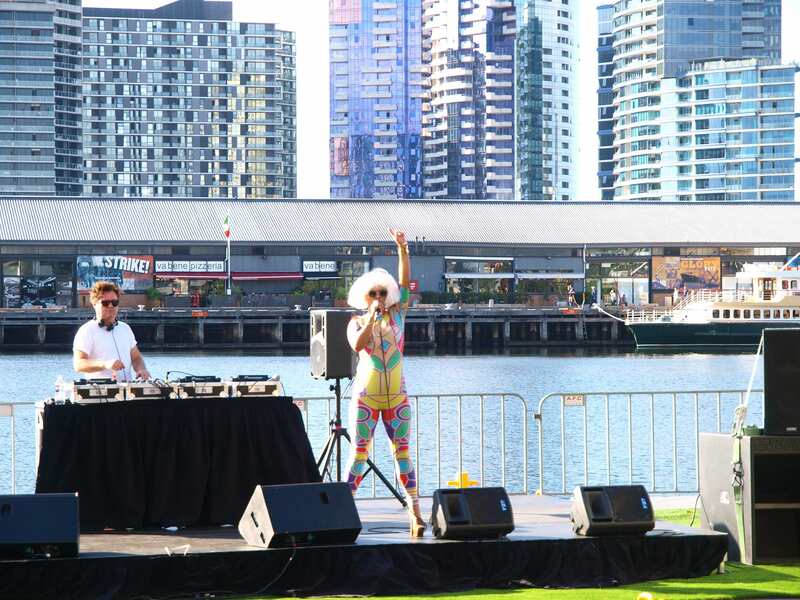 Deemed by the City of Melbourne as a ‘Place of Public Entertainment’ (POPE) the #VHSummerfest event site posed many challenges for the Instinct production team. 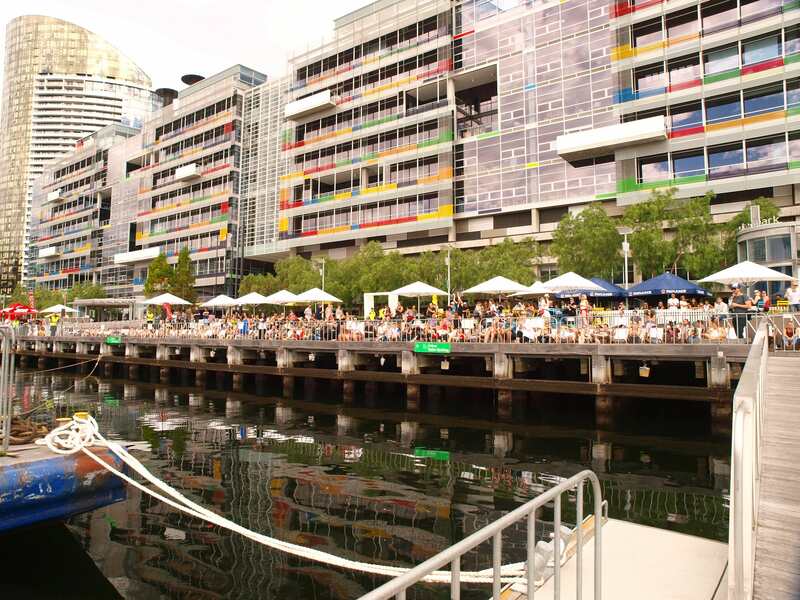 With limited vehicle access, a multi-tiered waterfront location, limited bump-in time, and no space for a decent stage, the design of the site required a creative solution and a lot of detailed planning. 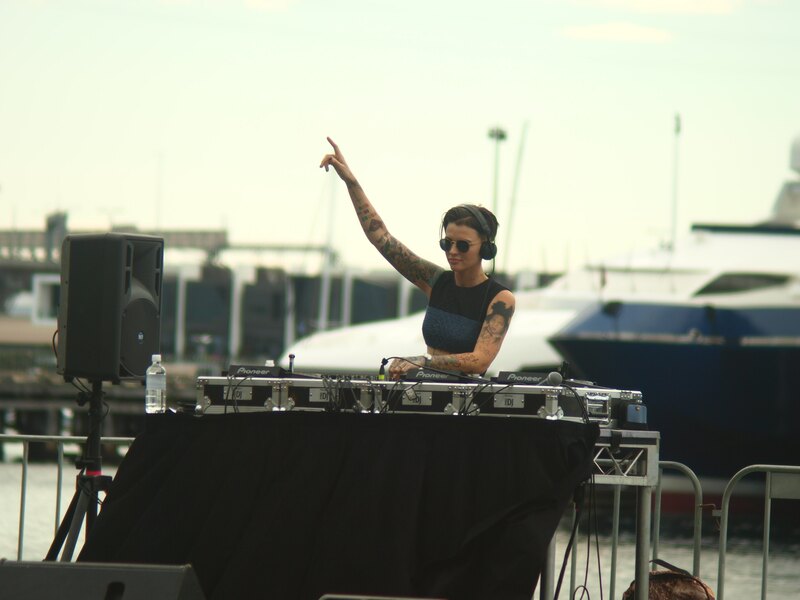 Setting the stage on a floating barge proved to be the stroke of genius and perfectly suited the unique long narrow tiered event space ensuring all festivalgoers had unrestricted enjoyment of all performers. Other challenges in meeting the strict compliance required to obtain the ‘POPE’ permit included maintaining public access through the area at all times, creating dedicated ‘wet areas’, managing local traffic, maintaining emergency vehicle access throughout the site, placing first aid, waste management and first facilities in appropriate locations, and above all else ensuring the entire site was safe and risk free. With loads of seating options, pop-up bars, and a Nova FM activation zone the event site was completely set-up in less than four hours and provided ample facilities for a day of outdoor festivities. 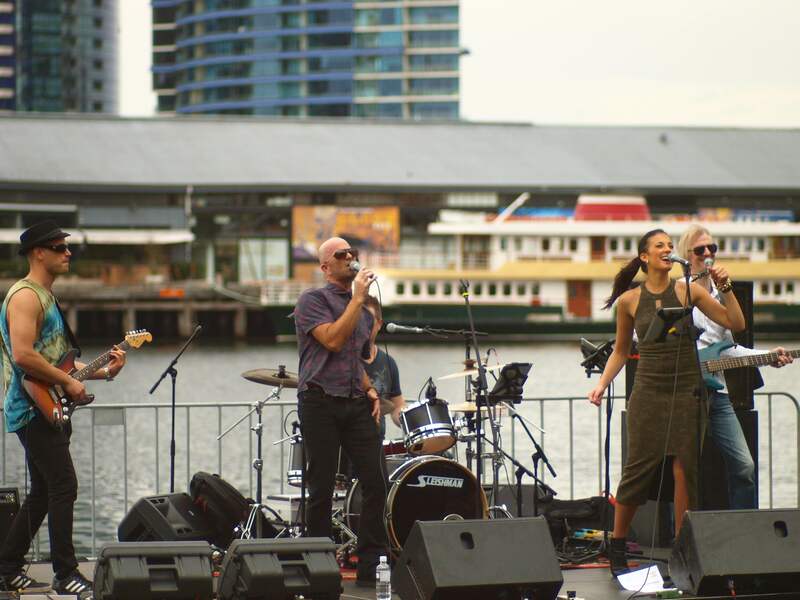 Entertainment included local covers band Chunky Jam and DJ Kate, together with Aussie headliners Ruby Rose and Sneaky Sound System.